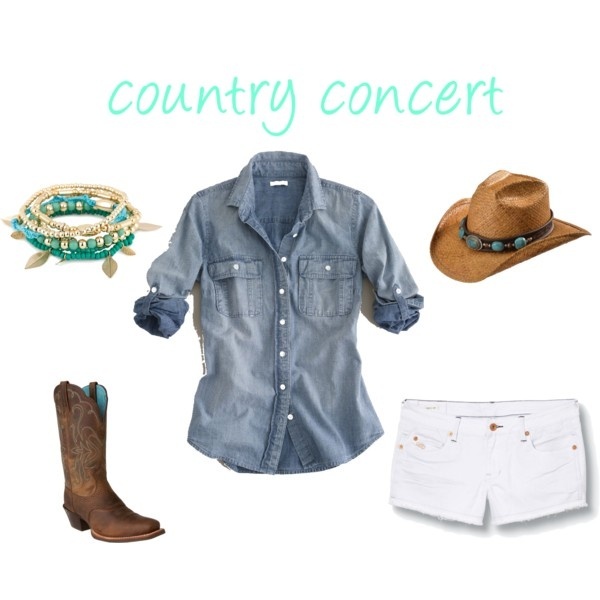 It’s officially summer which means that it’s country concert time and time for the perfect county concert outfit. When you’re out there shaking it for Luke Bryan you’re going to want to look good, right? 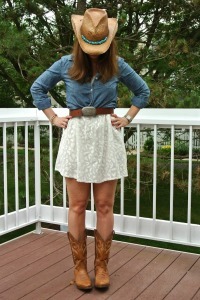 So here’s a guide to what to wear to a country concert so you can be the tanned-legged Juliet to some Redneck Romeo. First, cutoffs. For those of you who are anti-cutoffs, I apologize in advance, however I love them and practically live in cutoffs during the summer. They’re the quintessential country concert wear. Here are some good pairs to get you started. Personally, I love American Eagle’s shorts because they’re soft and stretchy and go on sale pretty often! 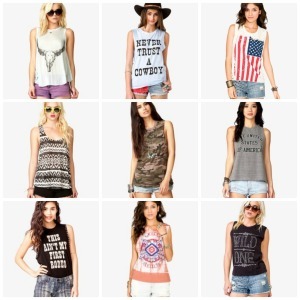 Tops for a country music concert run the gambit from edgy to patriotic to redneck. As long as it looks good with cowboy boots, go for it! 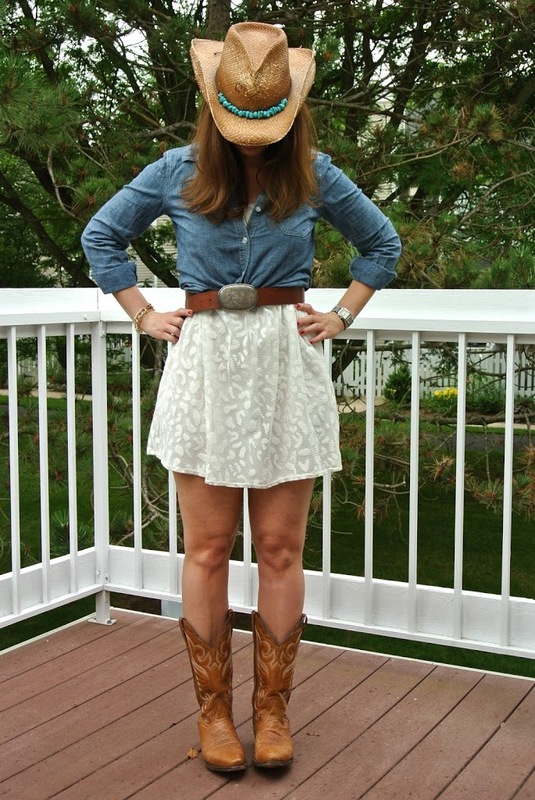 It’s no surprise that I’m a huge fan of chambray and a country concert is a great excuse to get your chambray on! Another option is a lace dresses that can be paired with boots and a denim jacket for a more feminine style. Are you going to any country concerts this summer? What are you wearing? I love the bull skull and &quot;This Ain&#39;t My First Rodeo&quot; tanks. Perfect for a country concert! Who else are you going to see this summer? I love the shirt that says never trust a cowboy! 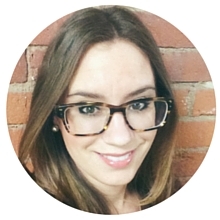 I love chambray too! I&#39;m jealous that you are going to 7 concerts! I&#39;ve gone to 2 and have 1 more this summer.